Formed in Naples in late 60's, with the initial name of Battitori Selvaggi, playing in Nato bases in Italy. 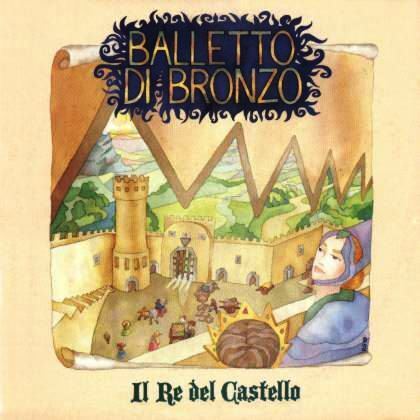 They changed name to Il Balletto di Bronzo with the first line-up, with two good singles in 1969 and 1970 and even recording some tracks in spanish (released in 1988 as a single and in 1990 on the Il re del castello LP) and their first album, Sirio 2222. The album is now considered as one of the rarest of the italian prog era, and is halfway between late 60's psych-influenced pop and prog. The long suite Missione Sirio 2222 is one of the best tracks, while most of the others are in the 3-minute typical length of the time. Some collectors consider it as one of the best in the italian prog field, others think it's still not a mature group's work. Without doubt a very important one. In 1971 Gianni Leone (from the very first Città Frontale) enters the group along with bassist Manzari (from the Rome band Quelle Strane Cose Che) and a new Balletto is born, much more in a symphonic vein and dominated by his keyboards. Second album released in 1972 on Polydor, Ys (from the name of a legendary town in Brittany), is a masterpiece, giving the group the success they deserved. Inexplicably an english-sung version, ready to release, was never issued. Group disbanded in 1973 after a final single, Gianni Leone having a short solo career under the name of Leo Nero, the others went to live in Sweden and disappeared from the italian music scene. Gianni Leone has reformed the band in late 90's with bassist Romolo Amici and drummer Ugo Vantini from the neo-prog group Divae on whose 1995 CD Gianni had played; they made a series of concerts from which the live CD Trys has been recorded.